Alberto Antonini first came to Argentina in 1995, after key contributions to the Supertuscan movement in Italy. His philosophy is focused on using modern technology to express the terroir’s potential in high end winemaking- while respecting the true nature of the grape flavours. Deep purple core with ruby rim. 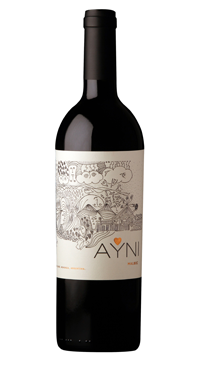 Pronounced and complex bouquet of blackberries, cherries and plums, with floral notes and spices. The palate has a great balance of acidity, tannins and fruit and spice notes. Full bodied and complex, with a long finish.